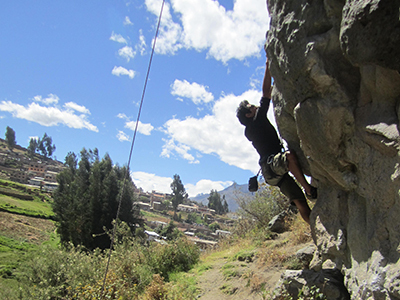 This tour is located at the popular local crag Los Olivos, located within the city limits of Huaraz. The tour consists of vertical rock climbs of varying grades of difficulty. Our trained guides will custom tailor the routes to your level of climbing experience.